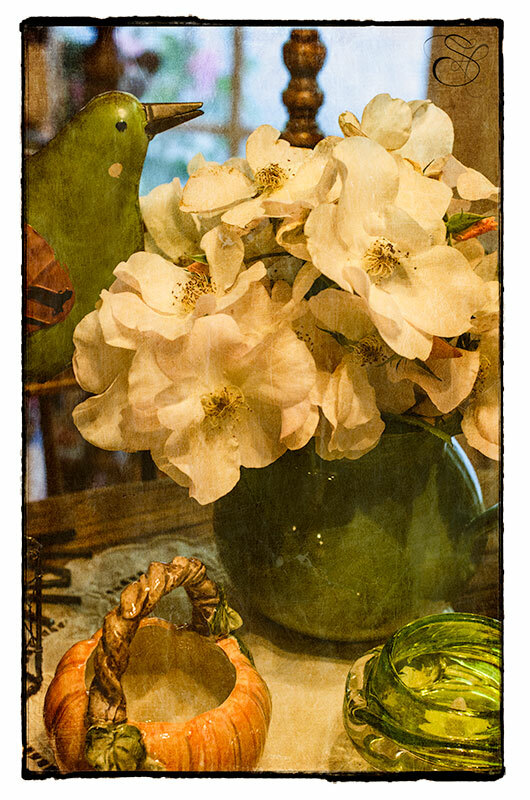 Still life on my kitchen table; decorating for fall; love this season! Roses are Sally Holmes; enjoying a few more blooms! I used Kim Klassen’s kk_allthat texture for Kim’s Texture Tuesday. Next > Life and Art are Sometimes Messy!